Get Maximum Performance from Your Monitors! 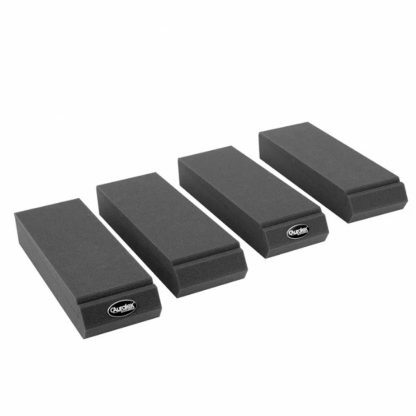 Adding a set of Auralex MoPAD studio monitor isolation pads to your setup is one of the most cost-effective and important improvements you can make in your studio. Like the shock absorbers in your car, MoPADs sit under your monitors, absorbing vibrations that would otherwise transfer into your desk or your floor. These vibrations generate false low frequencies, which makes it impossible to accurately judge your mix. At Sweetwater, we’ve listened to hundreds of studio monitors, with and without MoPADs, and the difference is night and day. You’ve paid good money for your monitors, now get the most out of them by adding a set of Auralex MoPAD studio monitor isolation pads. What Auralex MoPADs do is called “decoupling,” which is pretty easy to understand. 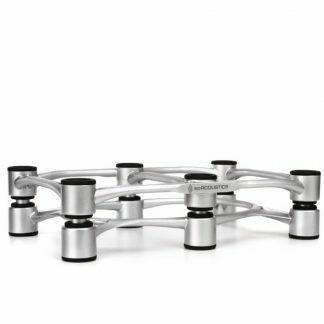 When your monitors sit directly to your desk or floor, they transmit vibrations that cause the suface that they’re sitting on to essentially turn into a giant subwoofer. This can add a ton of bass to your music. Unfortunately, these low frequencies aren’t really in your mix, so when you play it back on any system outside of your studio, all that bass will be missing. By decoupling your monitors with MoPADs, you eliminate these false lows, making it easier to create accurate mixes that translate to any playback system. Another thing that Auralex MoPADs do is to let you position your studio monitors at the exact angle you need, allowing you to better define your central mix postion. Each MoPAD (you get four in a pack, enough for two monitors) comes in two pieces, each with a 4-degree angle. That allows you to tilt your monitor at one of five different angles: flat, +/-4 degrees, or +/-8 degrees. So whether you need to angle the monitors on your desk up or tilt your stand-mounted monitors down, MoPADs make it easy. Over the years, Sweetwater customers have come up with all kinds of great other uses for MoPADs. 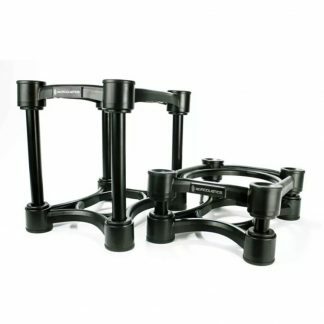 For one thing, they can withstand up to 100 lbs., so you can easily use them to decouple your computer from your desk. 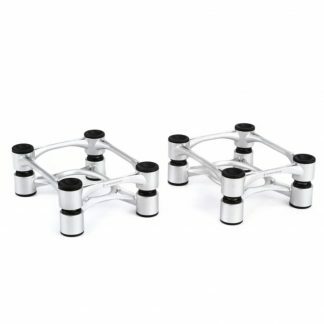 They’re also great for isolating small amplifiers or turntables. Once you start thinking outside of the box, you’ll discover that you can reduce a lot of unwanted noise by using Auralex MoPADs in creative and imaginative ways. Put Auralex MoPADs under your studio monitors and find out what your mixes really sound like!